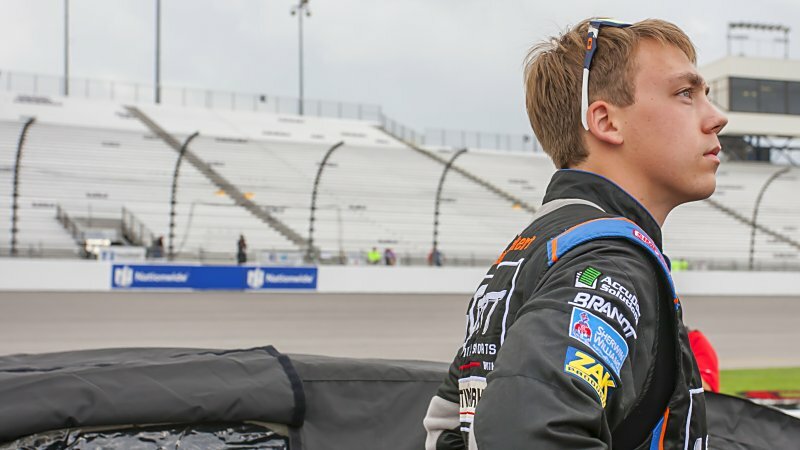 Dover International Speedway…The NASCAR K&N Pro Series East (NKNPSE) heads to Dover International Speedway this weekend for the final race of the 2015 season, the Drive Sober 125. No. 34 Scott Heckert…Heckert comes into the Drive Sober 125 looking to close out a strong 2015 campaign. The 21-year-old has put together his best career season in the NKNPSE, winning two races (Bowman Gray and Watkins Glen), compiling nine topfives and 10 top 10s along with two poles. Heckert has two career starts at Dover, with a career-best finish of third coming last season at the Monster Mile. The Connecticut native looks to close out the season strong with his first-career NASCAR championship, as Heckert sits 13 points behind teammate Byron heading into the Drive Sober 125. The Drive Sober 125 takes place on Friday, October 2 at 5:00 p.m. EDT and can be seen on Thursday, October 8 at 5:00 p.m. EDT on NBCSN. The race will also be broadcasted live on MRN Radio for the first time this season. You can listen on MRN.com or also by downloading the MRN Radio application.